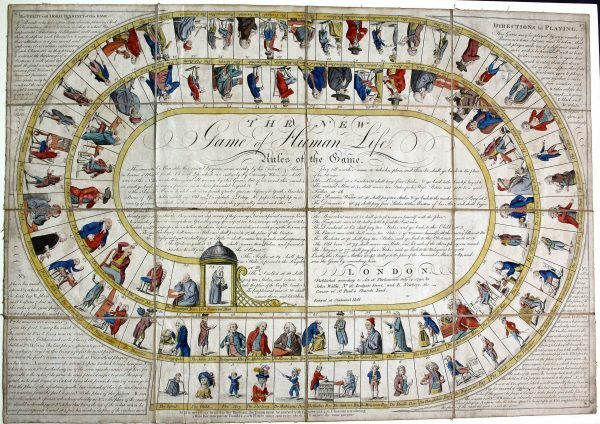 „The new game of human life.“ London, Johan Wallis, 1790. 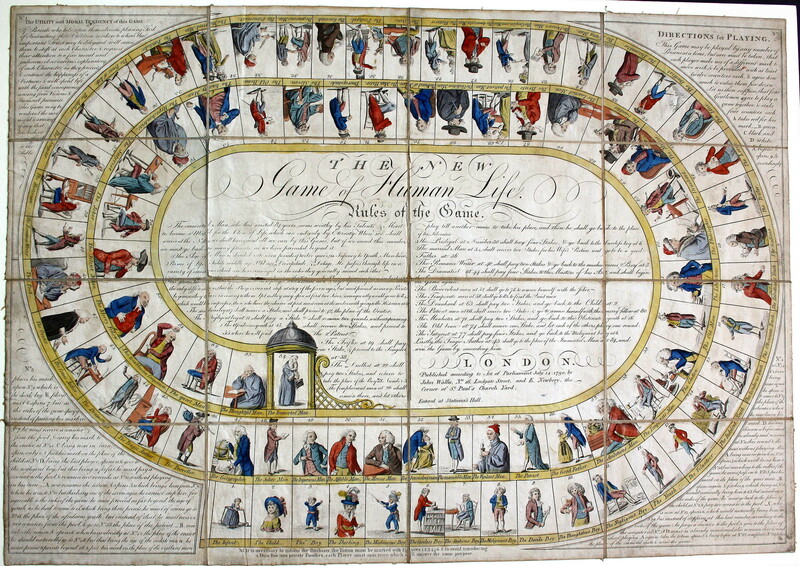 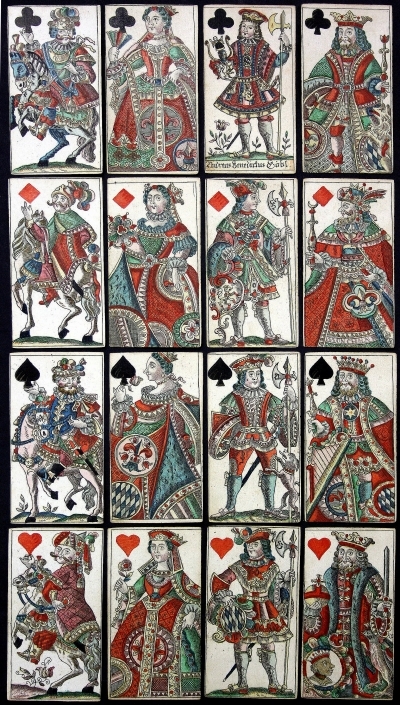 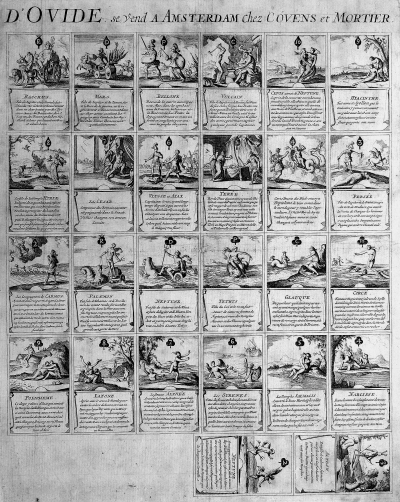 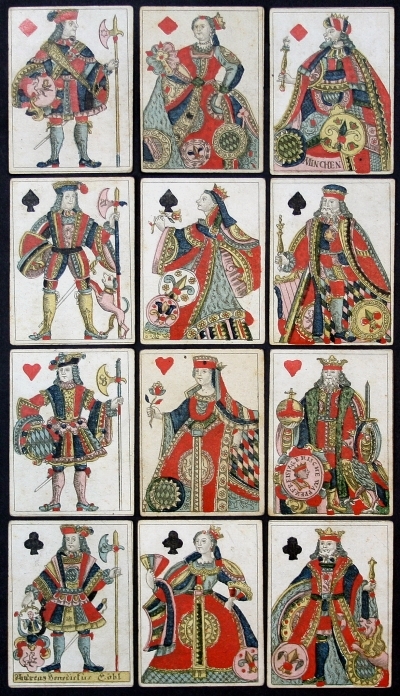 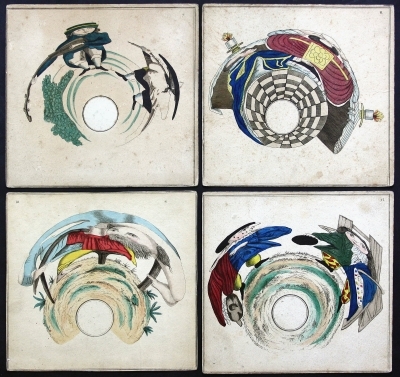 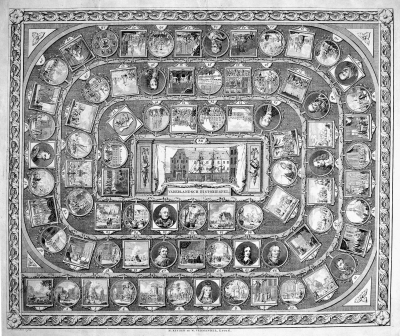 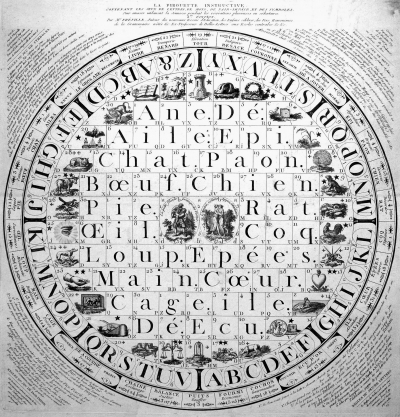 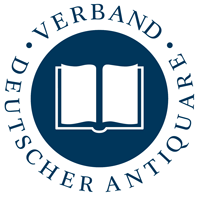 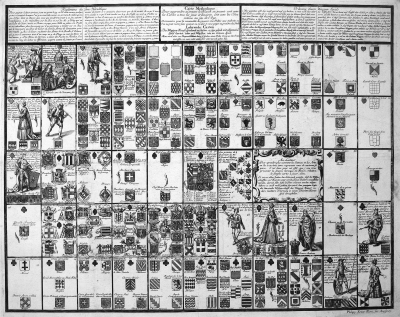 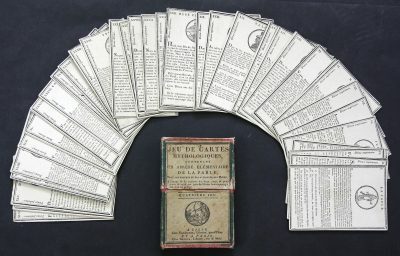 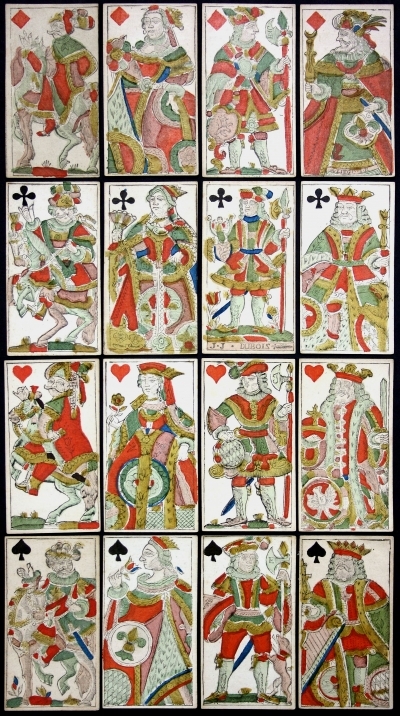 One of only a few English board games from the 18th century. 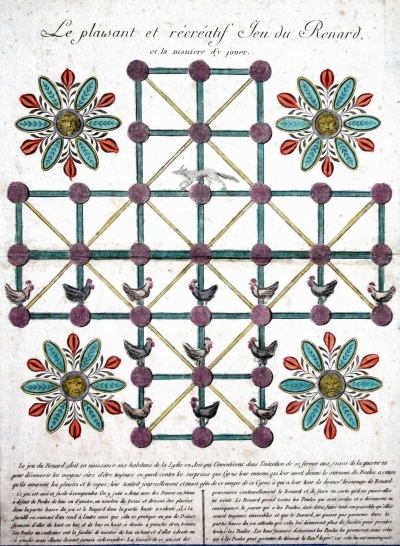 The game consists of 84 spaces, each representing one year of a hypothetical life. 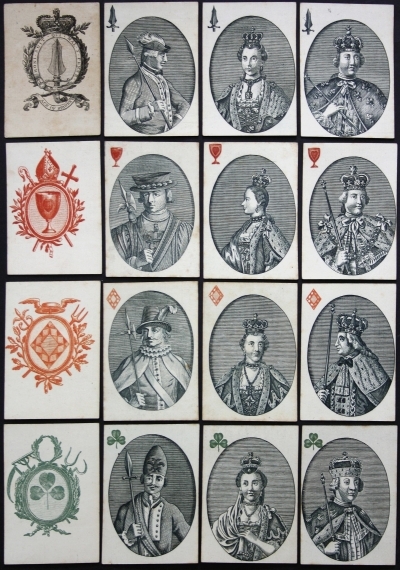 There is “The Poet” at space 41, represented by Alexander Pope; “The Patriot” at space 55, embodied by William Pitt; and “The Glutton” at space 59, who resembles many popular satires on the indulgent Prince of Wales. 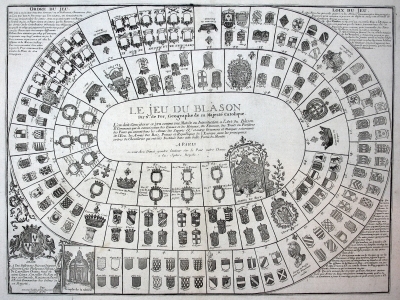 Victory belonged to the player who arrived at the final panel, space 84, where “The Immortal Man” was pictured as Isaac Newton, who had lived to that same age.